We are a global energy company, operating in 16 countries and 4 continents, in the generation, distribution and comercialization of electricity and gas. We have 12,000 employees, across Portugal, Spain, France, Italy, Poland, Romania, Brazil, the U.S.A., Angola, Belgium, the United Kingdom, Canada, Mexico, Peru, Greece and China. With over 11 million clients, we are at the forefront of innovation and renewable energies. We produce today the energy of tomorrow. Theodo sponsors the Lean Digital Summit. 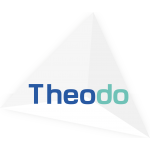 Founded in 2009 by Benoît Charles-Lavauzelle and Fabrice Bernhard, Theodo is specialised in agile delivery of web and mobile applications. Theodo identifies with its clients their best business opportunities and builds with them the digital solutions to leverage these opportunities. Theodo creates a team composed of both Theodo experts and client employees. This team implements the new ways of working of successful startups and builds the digital solutions that will accelerate the transformation of the company. Theodo offers its employees an accelerated professional progression path. It was awarded the HappyAtWork label for the last three years, a ranking rewarding the companies where people are the happiest. Theodo’s clients include corporates as well as fast growing startups, among which Admiral, Safran, Société Générale, Suez environnement, Renault, BNP Paribas Asset Management, Ada, Condé Nast, BlaBlaCar, Business Immo or ManoMano. The Lean Digital Summit was founded in 2011 by the French Lean Institute and the Lean Global Network to provide Lean experts and IT practitioners an inspirational space to meet and share ideas about how Lean IT could help grow enterprises and be a driver for innovation. Over 110 leaders in the Lean IT world have since shared their expertise and experience with 800 participants coming from all over the world. For its 7th edition, the Summit becomes the Lean Digital Summit and moves to Lisbon, organized with the Portuguese Lean Academy. The Lean Global Network promotes lean thinking and provides leadership to help organizations with their lean transformations. The Members of the Lean Global Network include a growing number of non-profit organizations that are devoted to the promotion of lean thinking throughout the world. The members are completely independent, but interact on a regular basis. Read the Lean Global Network Journal: Planet Lean. The Lean Academy Portugal is a nonprofit research, education and publishing LGN Affiliate with the goal of spreading Lean thinking and practice throughout Portugal. Through several partnerships with leading Portuguese universities, companies and other non-profit organizations, we have created different ways to develop our community. Some examples are the: Lean Foundation Program for Universities, the Post-Graduation Lean Practitioner Certification and the Portugal Lean Summits. New areas of research will be developed, with incursions on how to teach and apply Lean Thinking to the Junior Schools and to the High schools. Specific Chapters are to be created, to deep dive on clusters of the society, such IT, Construction and Healthcare. Lean Academy Portugal has a simple Mission: ‘Help spreading the Lean Thinking and the Lean Knowledge in Portugal’. 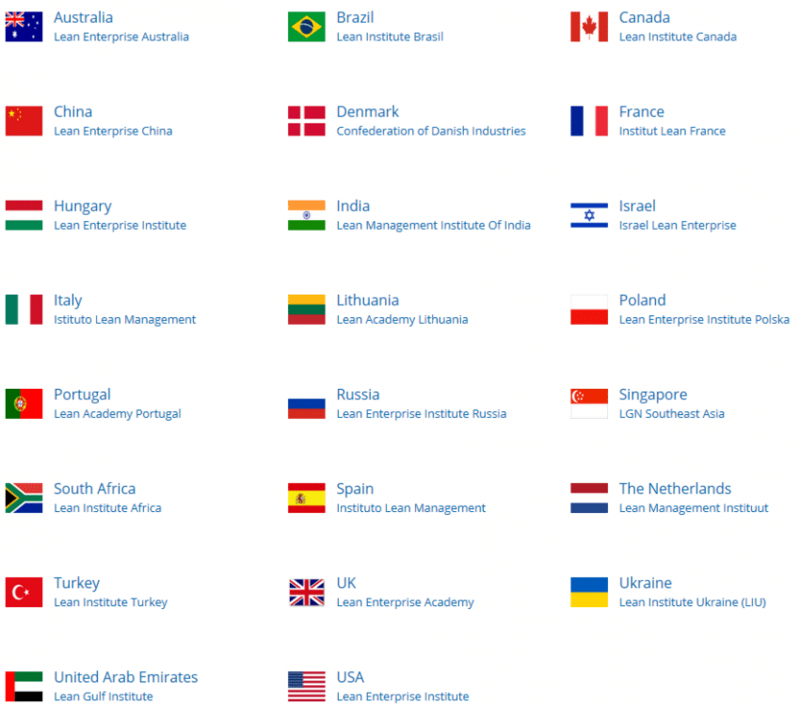 Today, LGN is comprised of 27 institutes or partners and dozens of co-learning partners across the globe. LGN is led by a Board of Directors, including one member from each of the 27 institutes or partners. Day-to-day management of LGN is overseen by an Executive Committee and an Executive Director.